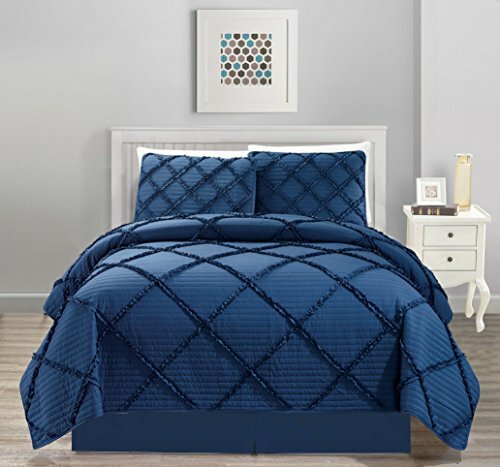 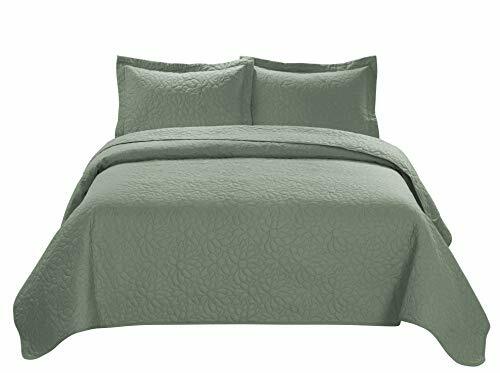 Size:King | Color:Blue Add color to your traditional space with the Madison Park Ashbury bedspread set. 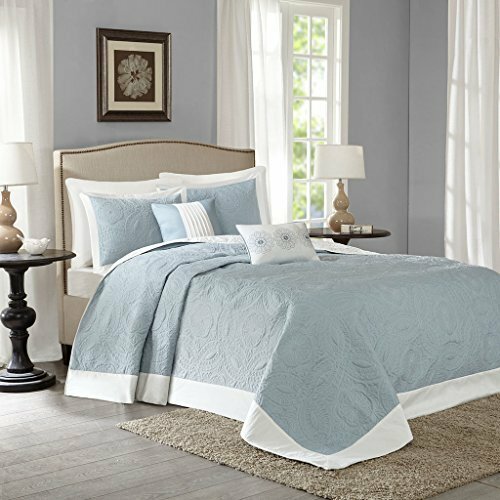 The soft Blue is accented with large quilting in a medallion pattern while a large ivory border makes a statement on your bedding. 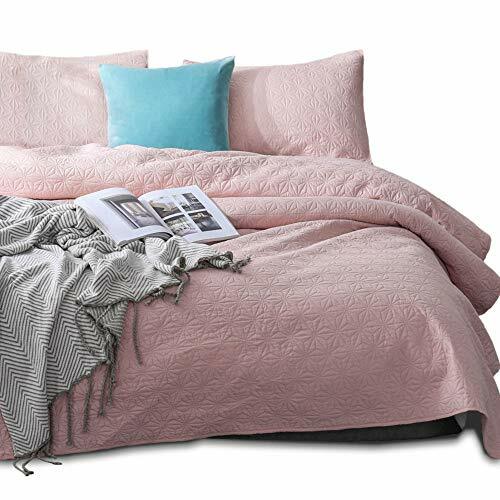 Two decorative pillows complete this collection with embroidery and fabric manipulation ion corresponding colors to the top of bed.